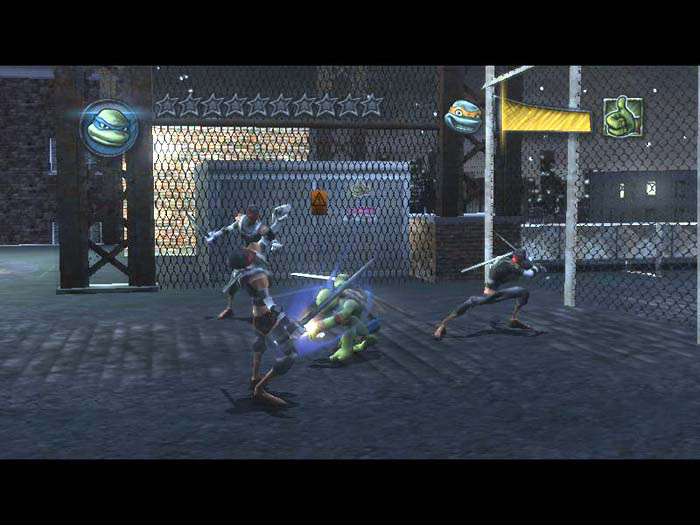 "Help the Teenage Mutant Ninja Turtles save New York City in this action packed fighting game." If you are a fan of the Teenage Mutant Ninja Turtles, then you have definitely played this classic. This video game has been out for a while now, however it brings the action packed idea behind the Teenage Mutant Ninja Turtles into a video game form so you can help them save the day in defeat the creatures that reek havoc around the locations that they are there to save. All of the familiar faces from the comic books creep out of the woodwork and you must use your skills to survive. This time, the Teenage Mutant Ninja Turtles must save the citizens of New York City. Help the team defeat strange creatures as they attempt to destroy and take over the city of New York. With many iconic moves to learn and choose from, you will have fun learning how to play and creatively defeat each and every enemy that gets in your way when it comes to saving the day. You will experience very fun game play and learn all of the iconic moves that you have come to love in the Teenage Mutant Ninja Turtles series. The team has always utilized their skills with acrobatic moves to defeat their enemies and climb and jump from building to building. In this sense, you can use the buildings to your benefit when trying to defeat the enemies in the game to stump and surprise them in their tracks. There are many different kinds of enemies and bosses to defeat along the way, but the TMNT will not allow them to take over New York City and with your help they can succeed in saving the day. -> See also the mod that has been created for GTA IV: TMNT Mod.